Loc8 provides four job types -- Work order, Preventative, Inspection and Audit -- based on the most commonly used terms in field service industry. 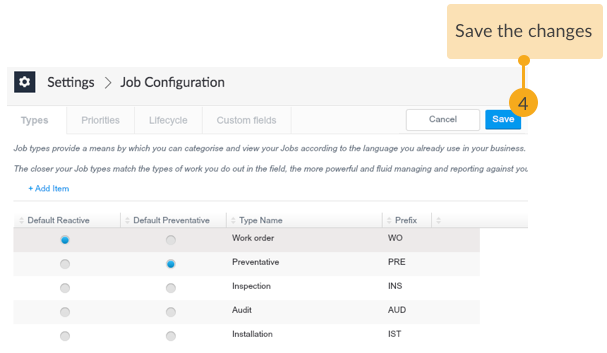 However, you can either edit the available job types or simply add new job types (for example, Installation, Relocation, Repair etc.) to distinguish all types of work handled in your business. Having a planned list of job types will not just represent your works well in Loc8, but also supply more data to derive explicit reports on all jobs created in Loc8. A list of job types identified in your business. STEP 2 Open the Types page. 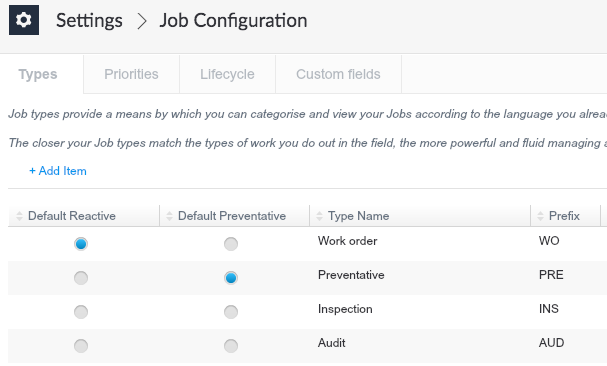 In the Types page, you will see the four job types already available to you. 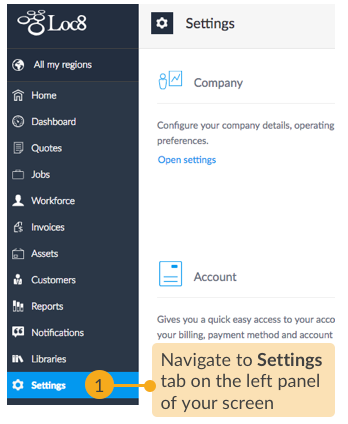 STEP 3 Add new job types to capture the wide array of work done in your business. If required, you can also edit the Loc8-offered job types to closely match the terminologies used in your day-to-day communications. STEP 4 Lastly, go ahead and save the changes. 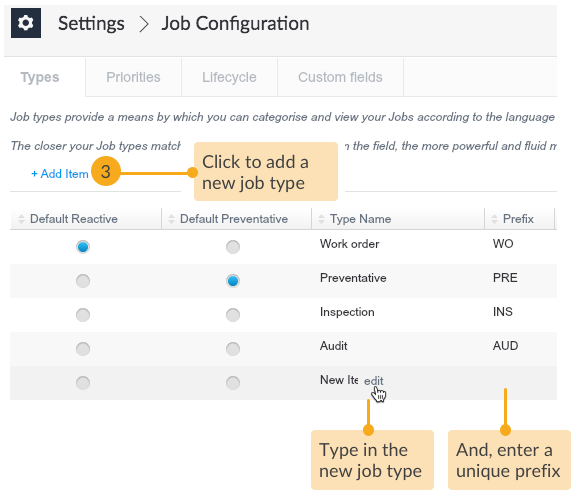 Now, you can create a job of the new job type using the same steps as in Create a Job.